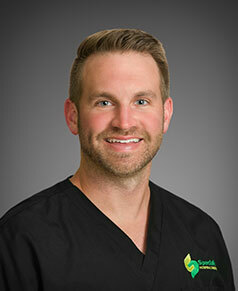 Specialists Physical Therapy Clinic offers a customized approach to physical therapy before, during or after surgery. Our desire is to not only get you physically prepared for your surgery once you are scheduled, but to also get you back to a higher level of functional physical activity after you are discharged. The Specialists Physical Therapy team has the unique ability to work hand-in-hand with your Specialists surgeon to coordinate the optimum pre-surgery and post-surgery recovery plan based on your specific goals, lifestyle, and your surgeon’s recommendations. Working in tandem with outpatient Physical Therapy, our inpatient Physical Therapy team will meet with you twice a day while you are a patient at Specialists Hospital Shreveport. Inpatient Physical Therapy’s goal is to get you up, moving, and physically capable to return home directly following your surgery. They will help you with guided exercises, stretches, and mobility recommendations to make your homecoming less stressful. What is Specialists Physical Therapy? Specialists Physical Therapy is part of Specialists Hospital Shreveport and offers both inpatient and outpatient physical therapy to Specialists Patients and any/all patients seeking physical therapy. Physical Therapy is a key component to any patient recovering from an injury and/or preparing or rehabbing following a surgery. 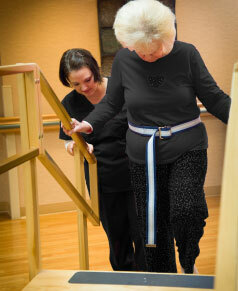 What is Specialists Inpatient Physical Therapy? Specialists Inpatient Physical Therapy works with our patients during their stay in the hospital following surgery. The inpatient team will work with the Specialists Nursing Team and your Specialists Surgeon to assist you in a healthy recovery and prepare you for discharge from the hospital. As an orthopedic and spine hospital, the inpatient physical therapy team is a critical part to assisting patients with their post operative exercises while insuring utilization of the proper body mechanics and techniques to expedite a healthy recovery at home. What is Specialists Outpatient Physical Therapy? Do you have to have a prescription for physical therapy? No. Louisiana is a Direct Access State, meaning that a patient may seek physical for up to 30 days without a medical referral or previous medical diagnosis. After that 30 days, if the patient wishes to continue treatment /physical therapy, the patient must seek a medical referral and proper medical diagnosis from a physician to continue treatment/physical therapy. Does Specialists Physical Therapy offer dry needling? Yes. Dry needling is a technique performed by trained physical therapists to treat pain triggered by muscular irritation. The technique utilizes “dry” needles that are inserted into the muscles and tissues designated as “trigger” points to relieve myofascial pain. Dry needling has proved particularly helpful to those suffering from neck, back and joint pain and has been utilized by long distance runners for years before and after races. What are the most common treatment plans utilized at Specialists Physical Therapy? How long have you worked at Specialists Physical Therapy? What patients do you enjoy working with the most (joint, spine, athletics, etc)? What do you enjoy the most about being a Physical Therapist?